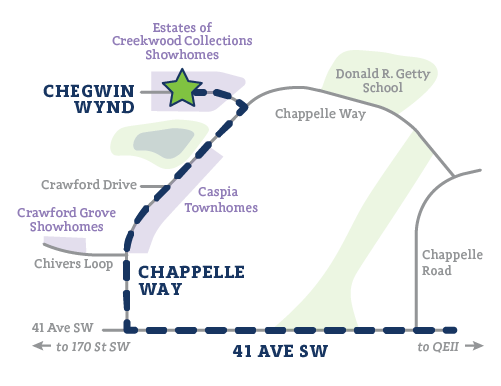 Is situated in an idyllic area of Creekwood Collections. Surrounded by nature and adjacent to an environmental reserve, and only a short walk from a ravine, The Estates of Creekwood Collections offers scenic and serene views within the quiet community. Hillview Master Builder chose to build in the Estates of Creekwood Collections for a very simple reason: location, location, location. The unparalleled greenspace with peaceful sounds of the nearby ravine, coupled with Hillview’s longstanding reputation as an industry-leading custom home builder, offers homebuyers a truly unique product. Building custom homes to suit any lifestyle, from two-storey family homes to bungalows for downsizers and everything in between, Hillview’s expertise and attention to detail allows exceptional and one-of-a-kind personal touches. Ace Lange Homes has been a family-owned and operated homebuilding company since 1963. Over the past 50 years, they have built hundreds of homes and developed a true and honest relationship with customers, sub-trades and suppliers. Now building in The Estates of Creekwood Collections, homebuyers can expect a home built on the same family reputation and commitment to bringing the best possible product in each and every home they build.